If you’re a Buford, GA resident who has suffered a personal injury, our Buford injury attorneys are at your service! Despite the fact that Buford, GA is a quiet, peaceful community with a lot to offer it’s resident, personal injuries are not uncommon. A serious personal injury can result from a variety of accidents, including accidents involving motorized vehicles, and accidents occurring on private and public property. If you’ve suffered any kind of personal injury, contact a Buford, GA injury attorney today! These statistics simply represent fatal accidents in Buford, and do not include the amount of personal injuries sustained from various types of accidents which may involve a variety of factors, including motor-vehicles and premises liabilities. Clearly, no matter where you live, you are at risk for personal injuries. This is why it is so important to seek legal representation. 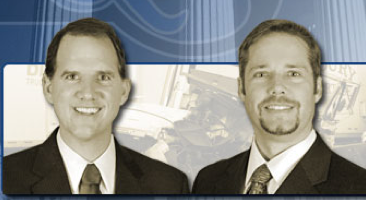 Our attorneys at Link & Smith P.C. are fully prepared to give you the legal protection you deserve. 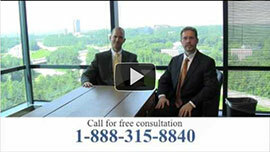 What can a Buford, GA injury attorney offer me? Personal injury attorneys can offer a variety of services, all of which are essential to winning the best possible case results for your claim. Personal injury attorneys can investigate your case, draft legal documents, give you legal advice, and represent your case in court. The benefits of hiring an injury attorney are incredible! Clearly, hiring an attorney is a much better option than self-representation, especially when you are undergoing medical treatment. An injury attorney can save you the hassle of the claims process, and help you receive compensation that can cover medical bills, personal damages, and lost wages incurred by your accident. At Link & Smith P.C., we are dedicated to assisting personal injury victims in Buford. Although our firm serves clients from all around the Southeast, we give each of our clients the individual attention they need to receive the most comprehensive compensation for their claims. Whether you live in the big city, or the quiet suburbs, Link & Smith P.C. is here for you! Our Buford, GA injury attorneys are qualified! At Link & Smith P.C. we have the qualifications required to help you achieve success! We have over 40 years of combined experience in personal injury law. We exclusively handle personal injury claims, and we work strictly on a contingency basis, meaning that you will pay no up front fees! We also have an impressive track record, helping our clients receive monetary compensation worth upwards of $40 million. Our practice handles claims involving auto-accidents, tractor-trailer accidents, boating and jet-ski accidents, motorcycle accidents, in addition to DUI victim representation. At Link & Smith P.C., we are invested in your success. Our injury lawyers will work tirelessly to help you receive the most comprehensive compensation possible. At Link & Smith P.C., we strongly believe that serious injuries deserve superior results! If you are a Buford, GA resident who has suffered a personal injury, call our top-notch injury lawyers for a complementary consultation at 404-315-8840. This entry was posted in Blog, Personal Injury Attorneys and tagged buford ga personal injury lawyers, personal injury attorneys, personal injury lawyers. Bookmark the permalink.